Since the 1920s or 1930s, all good Estonian patriots have been convinced that Sigtuna, the centre of ancient Svealand, was destroyed in 1187 by Estonians. This conviction is based on Evald Aav’s opera, ‘Vikerlased’ (‘The Vikings’), plus the results of research work carried out by the historians Hans Kruus and Jüri Uluots, and thanks to popular novels by August Mälk and Karl August Hindrey. The act was carried out by the men of Saaremaa, the Osilianer – who else? Through Karl August Hermann (1886) and Jaan Jung (1878), the basis of this instinctive, patriotic approach reaches back to Carl Robert Jakobson’s fundamental first patriotic lecture in 1868. However, the current archaeological surveys at Sigtuna (by Sten Tesch, 2005) have not provided decisive proof of the emptying of the town in the heyday of the medieval era, and the written evidence originates from relatively late dates, such as the details covering the event in the medieval chronicles and annals. No specific culprits have been determined, with the blame being placed on pagans, paganes, in general. There is no doubt, however, that the authors of the annals believed that the incident really did occur: combusta or incensa erat. Firstly, the anonymous ‘Eric’s Chronicle’ from the 1320s, which was a courtly hero’s tale that originated in western Sweden or Åbo/Turku, far from Sigtuna in any case, suspects the arch enemies of the Swedes of the time of committing the violent act. These would have been the Karelians or the Russians, who were quite eager to slaughter their enemies and torch cities around 1187. However, there is no way that they would not have been christened in this era and, even more crucially, they did not have the ships with which to make a crossing of open seas, which is something they very much would have needed to do to have been able to reach Lake Malar from around the mouth of the River Neva. In the sixteenth century, a new era began with Olaus Petri, the man who translated the Bible into Swedish and who not only reshaped church life and the linguistic landscape of Sweden, but who was also an uncompromising reformist of the Swedish way of chronicling history. Olaus worked in the Malar valley for decades, initially for the bishop of Strängnäs, who was in charge of the Swedish national archive, which at this time was still at the embryonic stage. Following that, Olaus worked as the annalist for the city of Stockholm and was finally promoted to the position of personal secretary of King Gustav Vasa. Finally, in 1530, he started work on his own chronicle, the ‘Svenska chroeneka’. In order to be able to complete his work he had all of the known sources of that time at his disposal, including ‘Eric’s Chronicles’ and the documents in the national archives. These included those documents which were destroyed in the great fire at the royal castle in 1697. As we know, he was very familiar with the Malar valley, which is also where Sigtuna is located, and where one can find ancient Estonian place names. Unlike ‘Eric’s Chronicles’, Olaus claimed simply and clearly that Estonians (Estar) had been the ones not only to destroy Sigtuna, but were also feared enemies of the people of Svealand at the time, on dry land and at sea. These statements are indirectly proven by historical remains, such as a well-developed system of protective barriers on the archipelago at the mouth of the Malar and the long line of tower strongholds lining the eastern coast of Svealand, but also by remains on Öland and, especially, on Gotland, which originate from the late twelfth century. Recent studies of Saaremaa show that, in the High Middle Ages, there was a military hierarchy-based society here, one which produced iron and was involved in trading. Four main castles served as the area’s strongholds and there were numerous ports. The findings from pre-Viking-era ships from Salme (in 2008 and 2010) and the use of swords from a Frankish smithy in the valley of the River Rhine are proof of the early overseas contacts between the people of Saaremaa and Scandinavia. This is also supported by some sections in the ‘Gesta Danorum’ by Saxo Grammaticus which originates from the same period (the late twelfth century), specifically in the Norwegian ‘Sverris saga’, in the chronicle of Novgorod, and in Henricus de Lettis’ ‘Chronicon Livoniae’ (‘Livonian Chronicle’). Unfortunately, the latter story only begins properly at the end of the 1190s. According to Saxo (born about AD 1150), the men of Saaremaa and Courland fought against the Danish for three days in 1170. Sverris saga says that King Sverre’s brother, Erik, spent three years around 1185 looting Estonian coastal areas and then sailed back to Svitjod in Svealand, to King Knut Eriksson, to whom he was related. Surely this was to Sigtuna, the most important centre in Svealand. Where else could it be? And this brings us, chronologically, to the dramatic story of Sigtuna in 1187, which is discussed in this article. Next, according to the chronicle of Novgorod, ‘coastal Estonians’ – undoubtedly the people of Saaremaa – sailed their six snäckas (шнекъ, a Scandinavian type of vessel) to Lake Peipus in 1190, where they were defeated and killed by the people of Pskov. Next, the Scandinavian-type pirate ships of the men of Saaremaa – the pyraeticas – landed at the settlement of Listerby in Blekinge County, Sweden, in 1203. A question arises: what business did the hundred or so men of Saaremaa, who could row a boat and undoubtedly also fight, have to take care of on Lake Peipus in 1190? The answer is connected to Sigtuna in 1187 and to Listerby in 1203. The parallels are obvious. Just like similar operations which were carried out by Scandinavian Vikings in the west, these were also quick smash-and-grab raids by vessels against wealthy, unsuspecting, and therefore more-or-less defenceless communities. After that, in 1206, the people of Saaremaa managed to fend off the onslaught of the Danes against their island. In 1211, they attacked Turaida Castle, a stronghold of the Livonians on the Koiva. These Livonians had cooperated with the traitorous and constantly encroaching Germans (from Riga), both by sea as well as on the river. During the course of a counter-attack they mounted a seaborne siege of the newly-established hostile centre of Riga on two occasions (in 1215 and 1218). In 1220, they crossed the Moonsund with a great host and liberated Rotalia County in western Estonia from the people of Svealand, who had conquered Lihula Castle. In 1226, the men of Saaremaa sailed back home from Svealand with a great deal of loot and a large number of prisoners. In conclusion, the people of eastern Svealand were forced to fortify their coasts and skerries with signalling systems and defence structures at any cost around 1200 (give-or-take a couple of decades), especially because the increasingly weakening power of the king was quite feeble in this period. There is equally little reason to doubt that the well-organised people of Saaremaa (and the men of Courland to a lesser extent) with their pyraeticas, which were suitable for sailing across open seas, were much-feared pirates and looters around the entire central region of the Baltic Sea. Who else in the Baltic Sea region other than the men of Saaremaa could have been bold and capable enough to row and sail to the well-protected Lake Malar, attack Sigtuna itself, and loot the city (and perhaps even burn it to the ground) in the year of 1187, while Saladin was defeating the poorly-led army of crusaders at the Battle of Hattin in a desert far away in Palestine and launching the subsequent, decisive besieging of Jerusalem? And why should we not believe clear statements covering the matter which were written by an historian who was generally highly critical, one Olaus Petri, who had lived in the Malar valley and who was well acquainted with archival materials? Muhu Church started out as a wooden chapel dedicated to Saint Catherine of Alexandria. It was first mentioned in the chronicle of Hermann von Wartberge in 1267. The current stone building which replaced the first construction consists of a single, longitudinal nave and a narrower rectangular choir, which is complemented by a small rectangular shrine – an aedicula. The church building’s main entry is on the western side and there is a side door with an entry hall on the southern side. The church does not have a sacristy or a massive tower. The bell, which used to hang under the bell roof on the western gable, was used for liturgical bell tolling. The gable was replaced in 1663 by a small hexagonal tower over the gable’s location, and this was refurbished and equipped with a bell in 1764. The church was built in four stages, with the wooden chapel erected in the first stage. The first parts of the stone church included most of the stone walls in the longitudinal nave with the main entry on the western side and a staircase in the wall, which led to the bell. There were narrow lancet windows in sturdy frames in both side walls. The original stone side walls were somewhat lower than those of today’s stone church and were probably covered by a cathedral ceiling. The wooden chapel served the purpose of a choir area. In the third stage of construction, the original church building was demolished. The new builders, whose insignia can be seen in different parts of the church, built a choir with a shrine, finished the construction of the longitudinal nave, and connected the longitudinal nave and choir with triumphal arches. The choir, which as mentioned was built at this stage, has wide windows in decorative frames (three-pane windows in the eastern wall, and two-pane windows in the southern wall), with the pointed-arch sections being designed with trefoils for the eastern window or quatrefoils elsewhere. The smaller, single-pane window in the northern wall of the choir was probably built to provide light for a side altar. Due to leaking roofs, which were quite common in medieval times, the space above the choir’s vault was equipped with rainwater spouts which protruded through the external walls. The choir’s small shrine – the aedicula – is framed by pillars and is covered with pointed-arch cylinder vaulting. The choir itself, however, is covered by quadripartite vaulting. The ribs of the vaulting are semi-circular and are leaning, along with blind arches, on rectangular corner buttresses. The capital-like bases of the pillars are unusual, resembling a high, semi-circular platter. The so-called platter bases are decorated with miniature suspended consoles, which were one of the most characteristic motifs of the choir’s builders. In the eastern corners of the choirs are three large consoles which serve the purpose of independent supporters of the two blind arches, and ribs and are attached around a platter base. The flatly pointed arch with a two-step profile in the western portal is also exceptional. The inner step is formed by the portal’s framing, the middle step of a rectangular jamb pole with a base runner and an archivolt, and the outer step of a thick semi-circular edge, which frames the entire portal as a continuous round belt, the bottom ends of which, however, have been cut and shaped as pillar bases, and decorated with miniature suspended consoles. After completion of the choir’s construction, the longitudinal nave was vaulted with two dome-like groined arches which were equipped with blind arches and decorative rib vaults. Those walls which had been built in the previous stage had been made about 2.5 metres higher before, and buttresses with platter bases had been installed in the corners of the longitudinal nave – as well as the choir – to support the arches. Two gradual pilasters tapering towards the bottom were installed to support the belt arches, with small, polygonal suspended columns with sharpened ends on both sides of the pilasters. Light was allowed into the longitudinal nave through the three single-pane windows in the northern wall and one single-pane window in the southern wall. Attempts were made to compensate for the incredibly poor epigraphs on the walls of the choir as well as the longitudinal nave with fresco-secco figure paintings on the walls of both rooms. An illusory, round fresco technique window in the western wall of the longitudinal nave stands out. Even though most of the paintings which used to decorate the church (except for those on the eastern and northern walls of the choir) have been destroyed over time due to poor maintenance and unskilled restoration work, the main aspects of the substance of the picture series and the general compositional solution can be determined based on earlier descriptions and similar materials. Events which were related to the life of Jesus Christ prevailed as the main topic of the paintings. The images on the side walls of the longitudinal nave were, however, different and were only loosely connected to the main concept. On these walls were various martyrs, bishops, kings, and the figure of a knight wearing the black cross of the German Order standing in rows. In conclusion it can be said that the murals in Muhu Church reflected religious ideas as well as the ideology of the Livonian branch of the German Order. In search of any similar work which could have served as inspiration for the murals in Muhu Church, most researchers have decided in favour of murals found in Gotland, which grew out of the high-level stained glass art in the area in the middle and second half of the thirteenth century. Of the church’s interior design elements, many have also been preserved in addition to the medieval mensa and several niches, and the piscina in the choir. Of the others, the pulpit was built in 1629, the altar wall dates to 1827 with a painting from 1788, a grave plaque with the image of a man from the thirteenth century has been used as a linten for the door to the stairs in the western wall, and there is also a grave plaque with circular text. The Second World War battles of the late summer of 1941 destroyed the roofs of the church and several interior elements. The choir was covered with a temporary roof during German occupation, but the longitudinal nave was only given a new roof between 1957–1959. The church received new dolomite limestone floors in 1983. Restoration work on the church was restarted at the end of the 1980s, culminating in 1993, and ending with the church being reconsecrated on 22 May 1994. During the course of this work, the bell roof was restored over the western gable, the choir was given stained glass windows, the organ balcony was restored, and the pulpit and the altar wall were conserved. The latter was shifted a bit later to its current location on the eastern side of the western portal. The church also received new benches. There has also been more limited conservation work handled later and occasional work is still carried out right up to the present day. Kaur Alttoa – A balcony, a toilet, or an external pulpit? This article examines some of the minute details of Kuressaare Castle. On the north-western side of the castle is a small neo-Gothic balcony, which is supported by consoles. It was designed by the architect Hermann Seuberlich at the beginning of the twentieth century. His plans were used to adapt the rooms on the castle’s main floor for the Knighthood of Saaremaa. In actual fact, the architect did not believe that there had been a balcony here. According to him, there had initially been a garderobe there – a medieval toilet. All later researchers have shared the same opinion. However, this perspective should be revised. A toilet supported by consoles is always placed so that waste matter which drains out is directed behind the city wall or castle. At Kuressaare, however, it opens directly onto the outer bailey, which used to serve as an intensively used yard area. It is extremely unlikely that there would have been a welcome place there for a pile of excrement. This means that the theory which places a toilet in place of the current balcony in medieval times is highly questionable. The construction element in question was connected to the bishop’s living quarters. I dare to suggest that what we are examining here is an external pulpit. External pulpits were primarily needed in the case of large-scale gatherings of people, when there was not enough room in the church for the masses. It is clear that Kuressaare Castle was not built for large-scale mass gatherings. On the other hand, at least in some situations, the bishop undoubtedly had to communicate to larger groups of people such as, for example, when giving his blessing to the arbalesters before battle. The castle chapel was certainly too small for this purpose. There is also an opening for a door which is located eight metres above ground on the south-eastern side of Kuressaare Castle. Based on several details, it may be concluded that there was a wooden bridge here which connected the castle to the circular wall of the outer bailey. The bridge is also included in some of the castle layouts from the middle of the seventeenth century. The bridge’s function has been explained as follows: it could be used by soldiers to retreat from the circular wall to the castle if necessary. However, this interpretation is questionable. Instead, I would suggest that the bridge was used to access the toilet on the circular wall of the outer bailey. There are two toilets or garderobes in Kuressaare Castle, which open onto the shaft which runs alongside the Tall Hermann Tower. However, it should be kept in mind that, at least in times of warfare, there would have been well over a hundred people in the castle. It is clear that the two toilets in Kuressaare Castle would not have been enough to solve this particular problem. The castles of the German Order in Prussia consistently observe the following principle: the shaft of the toilet opens onto the outside of the circular wall of the castle, usually over a river, a stream, or even the moat if possible. In connection with Kuressaare, Radzyń Chełmiński Castle is the most noteworthy (in German the name would have been Rehden or Rheden). This order castle had a toilet which was supported by consoles on the circular wall surrounding the castle, and was directly connected to the castle by a bridge. Supposedly, there was something similar in Kuressaare. Kuressaare Castle was built mainly by Bohemian architects, but the conventional building type and the castle’s general pattern were undoubtedly designed by using as an example the Teutonic Order castles which are to be found in Prussia. This is probably where the idea of the dansker was also borrowed. It is possible that the newly-built Radzyń Chełmiński Castle itself was used as the example. The Kaarma Teachers Seminar (1871–1910) was one of the most unique educational institutions in Estonia at the end of the Czarist era – one of the few which remained almost free of the impact and control of the Russian educational authorities for a long time, as it was operated under the local governmental authority. The process of establishing the seminar was initiated by the synod of the Lutheran Church of Saaremaa in 1867 to increase the level of education for schoolmasters in the local village schools. The Knighthood of Saaremaa decided to fund the educational institution and donated 2,000 silver roubles to cover the expenses involved in opening the seminar, and they further supported the seminar with annual payments of 1,000 silver roubles. The aim behind the school was to educate clerks for parish offices and teachers for village and parish schools. The relatively diverse curriculum included choir singing, music, playacting, and the acquiring of practical agricultural skills, among other things. The seminar accepted young men who had been educated at parish schools. Initially, course duration was three years, but this was extended by a year in 1903. The work of the seminar was overseen by Saaremaa’s chief churchwarden. As of 1882, the role of the church in the management of the school was decreased and the educational institution became increasingly subordinated to the Knighthood of Saaremaa. From 1886, a national inspector was appointed to supervise the activities of the seminar. Initially, the classes were taught in Estonian, but from the second half of the 1880s, in connection with the Russification policy, the Russian language was increasingly used for teaching and, from 1901, all classes except general history were taught in Russian. The educational institution was liquidated when the knighthood stopped funding the school due to increasing pressure from the state authorities. This article is mainly about the composition of the seminar’s student body and the contribution of its alumni to Estonian history and culture. In the course of the almost-forty years of its existence, a total of 352 boys studied at the school, 189 of whom also passed the final exam. Three quarters of the students came from peasant families. Strong family traditions were characteristic of the student body. There were as many as 32 families with more than one son attending the seminar, seven families sent three sons to the seminar, and there were even four sons from one family. Roughly 85% of the students were from Saaremaa County. The school was also very popular on the neighbouring island of Hiiumaa, which provided 25 students. A total of 54 students are known to have attended from outside Saaremaa County. The seminar was very successful at fulfilling the purpose stated in its statutes: most of the students ended up working as primary school teachers. Thanks to the school, the level of education of the people of Saaremaa and Hiiumaa began to improve consistently at the end of the nineteenth century. Many of the teachers became highly respected and valued members of the society. In addition to their daily work, they also provided leadership for local cultural life, teaching choirs and bugle bands, and taking educational and play-acting groups, contributing to local journalism, and spreading innovative ideas. (The biographies of 45 such seminar graduates are highlighted in the article.) They spread the idea of the national awakening amongst people and were initiators of the first cultural events to be held by the local peasantry. 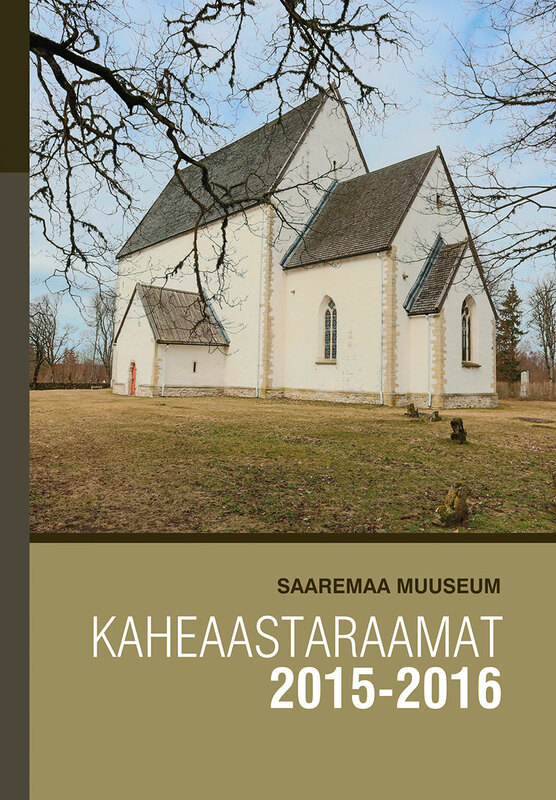 The choirs which were led by them turned into the first educational societies in Saaremaa. In addition to these schoolmasters who remained true to their mission, the alumni of the Kaarma Teachers Seminar also include a remarkable number of men who left their individual mark on the history and culture of Estonia: authors of classic pieces of literature, such as Jakob Mändmets (1871–1930), and Jaan Oks (1884–1918), plus the theatre director, Paul Olak (1884–1949), the ministers Oskar Köster (1890–1941) and Friedrich Sauer (1881–1927), the politician Oskar Gustavson (1889–1945), the diplomat Elmar Kirotar (1899–1985), numerous state officials and local municipality authorities, journalists, entrepreneurs, economists, officers, policemen, skilled workers, lawyers, and representatives of other fields of life. Four of the seminar’s students were awarded the highest honour of the time – the Cross of Liberty – for their actions in the Estonian War of Independence. The list of all of the seminar’s known students is enclosed with the article (Annexe 2). In the last decade of the nineteenth century, the march of the railway in Estonia also initiated a search for opportunities when it came to building railway lines on Saaremaa. Both countywide and urban railway systems were discussed. In 1898, serious plans were drawn up to construct a horse-powered railway in Kuressaare and, in 1909, the construction of an urban railway system was discussed. In 1912, Kuressaare’s urban authority held negotiations with the railway design and construction office of the engineer, Ivan Bernatovich, from St Petersburg, over the construction of a narrow-gauge railway line between Kuressaare and Kuivastu. Several more options for constructing railways were still being considered in 1917, but the only kind of metal roads on Saaremaa which were built before the First World War were those railways which were being used by the Russian coast guard batteries to transport their supplies in Sääre and Võiküla. Serious railway construction was launched on Saaremaa in the autumn of 1917, when the German occupation forces started to build a sixty centimetre outdoor railway (typical of the kind used in the First World War trenches, and often known as a Trench Railway). According to the plans set out by the Germans, the entire island was going to be covered with a railway network. From the junction at Kuressaare, they intended to lay branches to Roomassaare, Kuivastu, the Sõrve Peninsula, Kihelkonna, and Soela. The only line which they managed to complete was the one between Kuressaare and the port of Roomassaare. The Soela line was built as far as Haeska, and they reached Rõõsa Manor in the direction of Kuivastu. All of the completed railway sections were actively used after work had been completed on them and, as well as being used to transport goods, civilians were also permitted to use the railway for travelling. When the Germans left Saaremaa on 5 December 1918, they entered into a contract with the town of Kuressaare, which meant that the railways were handed over to Kuressaare, and the town was granted the pre-emptive right to purchase the rolling stock. Immediately, the issue of further developing the railways became topical. As a result of active promotional work and lobbying, the Estonian parliament even adopted the ‘Construction of the Railway of Saaremaa Act’ on 15 June 1921, which was followed by a detailed building design and budget being drawn up for the railway. Sadly construction never materialised due to lack of funds. Those sections of the railway which were located in rural areas were demolished. Only the line between Kuressaare and the port of Roomassaare remained functional and this was used successfully for carrying passengers as well as goods until October 1940. New, grandiose railway constructions were launched by the Soviets in the spring of 1951. There were plans to build a wide-gauge railway network connecting the coast guard batteries, the positions for the railway batteries and other military infrastructure of Saaremaa. More than ten thousand military men arrived on Saaremaa for the construction work and several military settlements were built in Kuressaare and on western Saaremaa to house the men. Viki Village, near Kihelkonna, became the junction for the military railway system. From here, railway lines ran to Kuressaare, the Sõrve Peninsula, Atla, to the port of Jaagarahu, and further to Tagamõisa Peninsula, and also to Pammana. The railway lines covered a total of 1,514.68 hectares of land, including 171.59 hectares of arable land. A total of 1,121.91 hectares were allocated for seven special structures which were related to the railway. Based on archived documents, the allocation of land for the railway affected at least 140 households. Based on the plan, the homes of 42 people on Saaremaa were going to be fully demolished, but in the end most of the plan was not enacted as the construction work for the railway was halted. Despite this, at least seven homes were fully demolished and four more were partially demolished. The railway building work was hurried through and was handled on a massive scale. Within two and a half years, a total of 189.8 kilometres of railway had been laid constructed, and everything from the design work and allocation of land for the permanent way to the construction of the infrastructure had been completed. In 1952, railway construction materials and military supplies were already being transported along the completed sections of the railway. The construction work slowed down in 1953 as the development of missile technology called for changes in Saaremaa’s defence concept. The construction work was halted entirely in the second half of 1955 and, in the following year, the finished sections of the railway were handed over to Estonian Railways. Unfortunately, the railways on Saaremaa were not brought into use due to economic considerations, and instead the tracks were lifted over following years. The track bed was handed over to the Saaremaa Road Office, which later used it to build almost sixty kilometres of road. Much of the track bed is still used today as access roads for timber transportation and other purposes. Most of the buildings and structures which serviced the railway were also handed over for civil exploitation, totalling at least 42 buildings in rural areas and 38 in the city, many of which are still in use today. This year marks the 140th birthday of the Kuressaare’s widely knowned upright piano builder Mihkel Salong. Based on today`s information available, M. Salong constructed 1,500 upright pianos in his lifetime. Mihkel Salong was born July 17th, 1877 in Saaremaa as the tenth and last child of the family. According to traditions those days, the family farm was inherited by the oldest child, forcing the rest of the children to leave the nest in search of their own way in life. Mihkel Salong started his career first in ship building in Saaremaa 1897–1901 and then furniture construction in Tallinn 1901–1903. During the second half of the 19th century, there was a mass emigration of Estonians, including M. Salong, to ‘the city of hope’, Saint Petersburg, due to economical and political opportunities. Mihkel Salong got hired in the furniture manufacturing factory in 1903, but soon thereafter, the hard working and musically talented young man found a job at G. Leppenberg, R. Rathke and C. M. Schroeder piano factories where he inquired the piano building skills. It is assumed that in 1905, upon the death of M. Salong’s father, Mihkel received his share of the inheritance which provided him an opportunity to open up his own piano factory in Saint Petersburg in 1906. Based on information available, it is believed that Mihkel Salong constructed approximately 1,000 upright pianos from 1906–1917. His pianos were in high demand in the culture oriented society of St. Petersburg and known for excellent construction, strong tone quality and moderate price. Due to the Russian revolution and the following chaos Mihkel Salong had to flee back to Estonia, being forced to abandon all his belongings, including the piano factory and its equipment. Back in Estonia, in the April 1918, Mihkel once again had to start from nothing, supporting the family working at the small metal manufacturing plant. As a skilful businessman, Mihkel Salong found once more a way to start up his piano business, this time in Kuressaare. It is believed that from 1920 to 1940 M. Salong produced another 450 quality upright pianos in Kuressaare. In 1935 he moved his production to his final piano factory, located at 23rd Tolli Street. His business was good, and he lived a relatively wealthy lifestyle until 1941 Soviet government take-over and nationalization of the factory. He was arrested in June of 1941 on charges of espionage and being a member of the Estonian Defense League, but thankfully escaped the common mass deportation to Siberia due to the fast moving German forces. His son Karl, who also worked at the piano factory, was not so fortunate and died in Siberia 1942. Mihkel Salong died of natural causes at the age of 68 in 1946 in Kuressaare. Today numerous Mihkel Salong’s upright pianos still stand the test of time. Many of his pianos are still in great working condition speaking for M. Salong’s quality work. One of these special instruments, upright piano No 1390, was recently acquired and moved to Tolli Street building where it was constructed in 1937, a special way to honor the talented piano builder’s legacy. In 2016, an extensive exhibition was organised at Saaremaa Museum to showcase the work of the German painter, Johannes Niemeyer. The exhibition was subsequently also displayed in Tallinn and Riga. The history and story behind the exhibition are truly unique, and Saaremaa once again got to play host to some of the pieces of art that were originally painted here in the summer of 1943. Johannes Niemeyer (1889–1980) was a diverse German painter and architect. In 1943, the German ‘Reich Ministry for the Occupied Eastern Territories’ sent him on a four-month art-related business trip to the Baltic States. During the trip, the painter finished numerous pastel drawings, watercolours, and charcoal drawings, which portray landscapes, urban and beach views, portraits, and local life in its calm daily pace. In August 1943, Niemeyer’s work was exhibited in Kuressaare’s primary school, which was an event that was reported in the newspapers of the time. Actually, at least one of Niemeyer’s paintings remained in Saaremaa after the exhibition and was hung as a piece by an unknown artist on the office wall of the chairman of the Kuressaare Executive Committee (Kuressaare at the time was known as Kingissepa). The mystery behind the artist’s signature, who remained unknown for a long time, was finally solved by Raul Salumäe (1960–2015). Raul was an employee at Saaremaa Museum, and his investigation took him to the gallery owner, Herwig Roggemann, who is preserving the heritage of Johannes Niemeyer in Berlin. The exhibition of the work of Johannes Niemeyer was brought to life in cooperation with Saaremaa Museum and Professor Roggemann, owner of the Wannsee Gallery, supported by the hobby group, ‘Interessengemeischaft Oesel 1941–44 Neu’. A catalogue was also published to serve as an introduction to the exhibition. After Kuressaare and Tallinn, the same exhibition was also organised in Riga, in the premises of the Academic Library of the University of Latvia. Latvian librarians also helped to find traces of the grand exhibition of the work of German painters, which was held in Riga in March 1944. The information in a small catalogue which was found in the library proved that there were at least three German painters in Saaremaa during the Second World War, these being Niemeyer, Wilhelm Ahlers (1899–1993), and Bodo Balthasar Franz von Campenhausen (1898–1988). Unfortunately, no details are known about the work of these last two painters, but the catalogue includes a few reproductions, including one of von Campenhausen’s watercolour of Panga Village on Saaremaa. The Riga exhibition catalogue also includes an interesting reference about Johannes Niemeyer, which allows one to conclude that Niemeyer, who had lost two sons on the Russian front immediately prior to travelling to the Baltics, was the man behind the initial layout of the Kudjape German military cemetery which was opened in Kuressaare in 1943. The fourth painter to be introduced in the article is Franz Frank (1897–1986) who was in Saaremaa as a frontier soldier and who took part in the battles on Sõrve Peninsula in October and November of 1944. Franz Frank’s stay in Saaremaa is described in the article through the painter’s wartime letters, his wife’s memoirs, messages by members of the German army which were sent back home from the frontier, and in the memoirs of other people who were involved. The article’s author has restored the temporal and geographic journey of Franz Frank in Saaremaa with, for example, the battles in Sõrve also being made personal. Although Franz Frank was a painter by education as well as by calling, his stay in Saaremaa was considerably different from those of the other three painters discussed in the article. He had no opportunities to create in Saaremaa. Near Liiva Village, at the centre of Muhu Island, alongside the old road from Liiva to Soonda, there grows a large, thick tree, which is called the Raagi pine. As the tree is one of the rarest on the entirety of Muhu Island, it has been registered as an individual protected natural object since 1965. In 1997, the Raagi pine’s circumference was measured at 288 cm, while its height was fifteen metres, and the tree was estimated to be in good condition. Thanks to its size and location alongside a once-important road, there are numerous folk myths and legends which involve the tree. Three main motifs can be observed. The first is related to the old maid(s) who used to live nearby once upon a time, who had once been visited by an unknown rider(s) late at night, who left behind a bundle with a little baby inside. Years later, the rider(s) returned and demanded that the old maid(s) return the child. A quarrel broke out and a rider shot the boy with an arrow (or the foster daughter was killed in the fight). A pine tree was planted on the grave of the child concerned. The many tears spilled by the strangers watered the tree on the grave and it grew larger than many other trees nearby. The girl buried here (if it was a girl) was supposedly a foreign princess named Ragnel, based on which the tree was later named the Raagni (Raagi) pine. Another myth is related to the wolves that used to live on Muhu Island and which would trouble the local people. It is said that there were quite a lot of wolves on the island in this time, and when a wolf was spotted everyone over the age of twelve was sent out to catch it. The people’s guardian against wolf attacks used one of the highest trees on the island, the Raagi pine, as a platform from which to spot the animals. The last wolf on Muhu Island of those days is also said to have been caught here. The third folk myth to involve the Raagi pine concerns a large, black dog wearing a bell around its neck which would scare the local children. When they ran away from the animal, the children managed reached the Raagi pine when a loud bang was heard and, when the children looked back, the horrible creature was gone. The pine tree was still in a good condition a few decades ago, but since then its health has deteriorated catastrophically. In 2016, the authors of this article undertook a dendrochronological examination of the tree. It turned out that the tree was over 1.3 metres tall around 230 years ago, which allows one to calculate that the pine seed which gave birth to the Raagi pine tree germinated around 1777. The photographs which serve to illustrate this article were taken in the period between 1949–2016. Significant changes took place in Estonia in the post-war years. The entire way of life was turned upside-down. Independence had been lost, several mass deportations had taken place, and people continued to be arrested. The war had passed through the country several times and had changed its political situation. It also left a painful mark on the country’s people. All power was in the hands of the communist party. An atmosphere of fear prevailed. The new authorities were attempting to force people into submission by the use of propaganda and brainwashing. The so-called ‘intensification of the class struggle’ made it possible to find enemies anywhere and everywhere. And all the time this was going on, people were secretly waiting and hoping for good news from the west. After the war, the process of land reform continued from its launch in 1940. In 1947, ‘acts of indigenous use of the land’ were handed out to farmers. One farm could have up to thirty hectares of land. Most of the confiscated land was redistributed to new landowners. Within the Soviet Union, kolkhozes – collective farms which were involved in agriculture or fishery work – had already been established at the beginning of the 1930s. Rumours of the poor state of the collective economy there had reached Estonia and the situation did not give rise to much optimism. In Estonia, it was initially hoped that collective farms could be developed via joint activities, which would have left the private farms partially untouched. However, the nationwide plans foresaw a different direction for the farms. On 21 May 1947, a secret decision was adopted by the Political Bureau of the Central Committee of the Communist Party of the Soviet Union in Moscow regarding the ‘Establishment of collective farms in the Lithuanian, Latvian, and Estonian Soviet Socialist Republics’. The opposition by ordinary working folk to the decision was palpable. The process of establishing these collective farms was delayed for as long as possible. The March deportations of 1949, however, crushed all hope. Numerous collective farms were established in Estonia as soon as 26 March, on the very day after the first deportations had taken place. The majority of the farmers in Estonia joined collective farms before the end of April. The first collective farm in Estonia was founded on 6 September 1947. This was the Viktor Kingissepp Collective Farm in Valjala Commune, Saaremaa. By the end of the year, there were five collective farms in Estonia. Saaremaa already had a total of five collective farms established by the time of the spring sowing of 1948. By the end of the year, there were nine agricultural collective farms here. A year later, as many as 199 collective farms had been formed. This article provides an overview of the beginning of the era of collective farms in north-western Saaremaa. We will be taking a look at how small collective farms were established within today’s Kihelkonna Commune, and how the forceful integration of such farms into large collective farms began. In order to be able to carry out those duties which had been assigned by the state authorities, local executive committees were formed of representatives from the communes’ working people and from executive committees of the councils of representatives of working people from the villages, although the latter were subordinate to the former. Even though the village councils had already been formed in 1945, the first elections for the local councils only took place in January 1948. This article describes the cooperation with the local authorities by the collective farms which lay within the bounds of the village councils of Kihelkonna and Tagamõisa in the Kihelkonna Commune of the time and for that of Pidula Village in the period’s Mustjala Commune. Between May 1948 and April 1949, a total of sixteen collective farms were formed here. Whilst 76.4% of the collective farms which were established on Saaremaa by 1949 included only one village, there were just five such collective farms here. Most of the collective farms were formed by farmers from around two or three villages. The integration of small collective farms began in late 1949 and early 1950, and was said to be necessary for the organisational and economic strengthening of the collective farms. The integration was met with fierce opposition from the locals. In February 1951, the collective farms in the close vicinity of Kihelkonna were integrated into a collective called ‘Kommunism’. At the same time, the collective farms around Pidula were integrated into a collective called ‘Partisan’. Initially, three fishing collective farms remained independent, these being ‘Meri’, ‘Majak’, and ‘Mihhail Kalinin’, whilst the latter was the first fishing collective farm in Estonia. This collective farm was formed on the Tagamõisa peninsula on 7 May 1948 and included families from at least fifteen villages. In this case, the people probably saw a good opportunity to obtain better fishing equipment for the existing fishing cartel. After splitting up at one point and following further integrations, the Mihhail Kalinin Collective Farm was the last to join ‘Kommunism’ in 1965. In addition to establishing and joining collective farms, this article also provides a brief overview of the personnel involved in the collectivisation of the assets of those who joined the collective farm, as well as looking at remuneration for work, and how the local communities managed (or rather did not manage) to comply with the numerous regulations which were being issued by the higher authorities. Examples are given of how hard it was for the people to accustom themselves to the regimented life of the collective farms. In order to try and make enough of a living, people also attempted to manage their own households. This way, they at least had food on the table. Collective farmers were allowed to keep one cow, one heifer, pigs, and sheep, but they were not allowed to have horses. A total of 0.6 hectares of arable land could be used. The remaining animals, agricultural machinery, equipment, and production buildings were collectivised. In spite of the strict instructions, differences can also be observed in how the centrally-assigned duties were carried out. While Kihelkonna started discussing the need to form agricultural collective farms as early as 1947, Pidula’s village council only brought up the topic of collective farms in January 1949. The first years of the collective farms were tough for the spirit as well as being physically hard. The private farm economy which had operated well enough for the time had been demolished. The people were not able to accept the new and completely uncommon ideology which was being thrust upon them. The joining together of the small collective farms, which began in 1950, was supposed to be the next great success. But the promised success also remained elusive on this occasion, and life in the country became even more difficult. Many more years passed before pre-war levels of production were finally reached again.